In North Carolina a divorce that legally ends your marriage is called an "absolute divorce". At least one spouse must live in North Carolina for six months before filing for divorce. You and your spouse must live apart for one year before filing for divorce. Note: The only other grounds for divorce in North Carolina is for the spouses to live apart for three years due to incurable insanity. Divorces are filed at the Court Clerk's office in a county where at least one spouse lives. Certified Mail is the easiest way to serve your spouse in North Carolina. North Carolina uncontested divorces can be finalized in as little as 45 days. 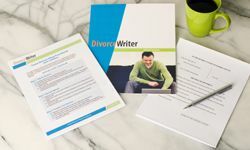 You have qualified to use DivorceWriter to complete your North Carolina divorce papers online. Select "Continue" to start the interview.